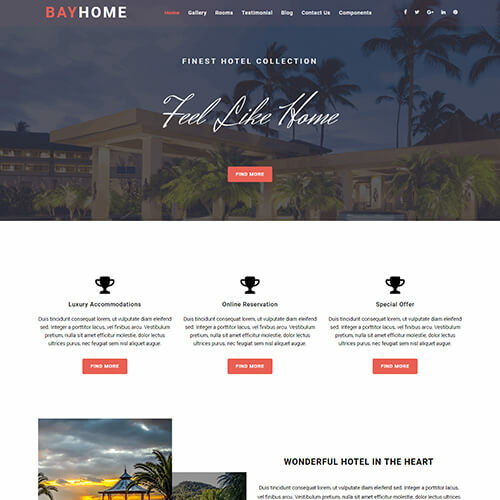 VacayHome is a resort and hotel website template. 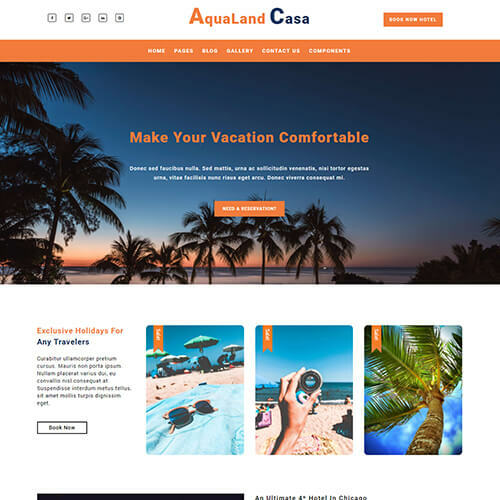 It is a better choice for your hotel, resort, accommodation, and any other travel related business to boost your online presence and expand your business. 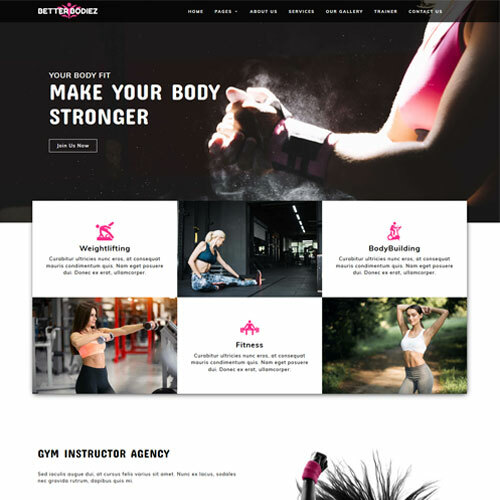 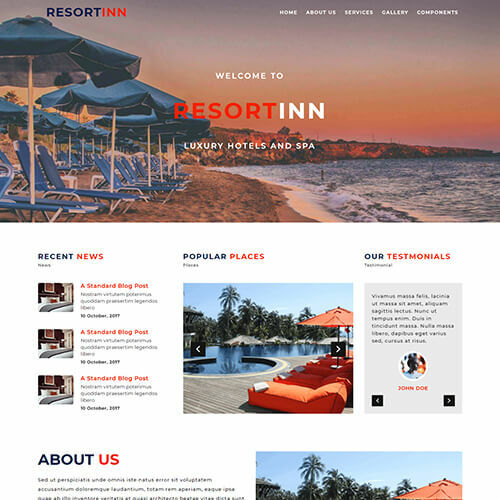 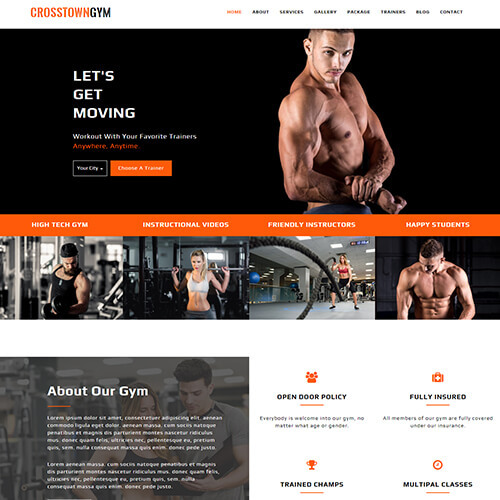 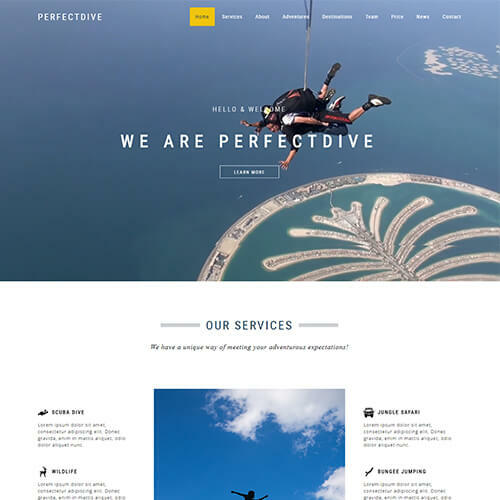 This elegant and modern designed template gives a unique hospitality feeling to the users. 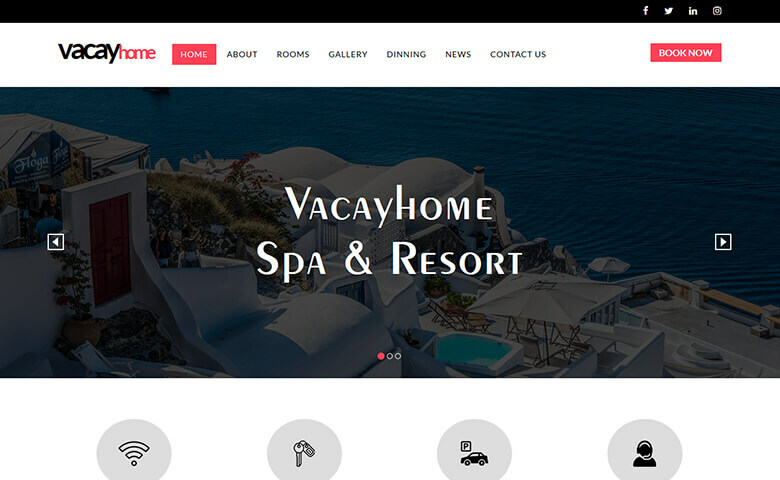 It has awesome features like a beautifully crafted image slider, gallery lightbox, smooth scrolling effect, enchanting hover effects, feedback section slider etc. 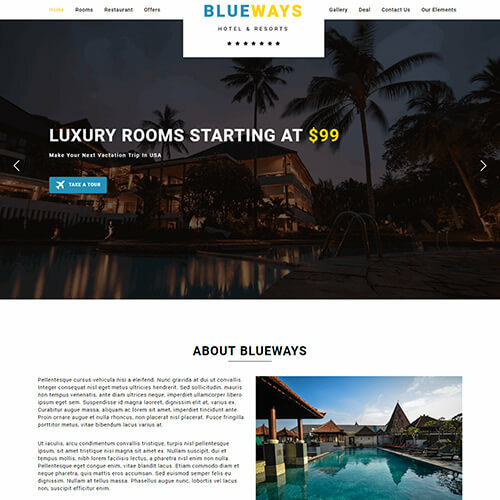 ThemeVault has designed this free HTML template for hotel website using Bootstrap framework, HTML5, CSS3 and Jquery. 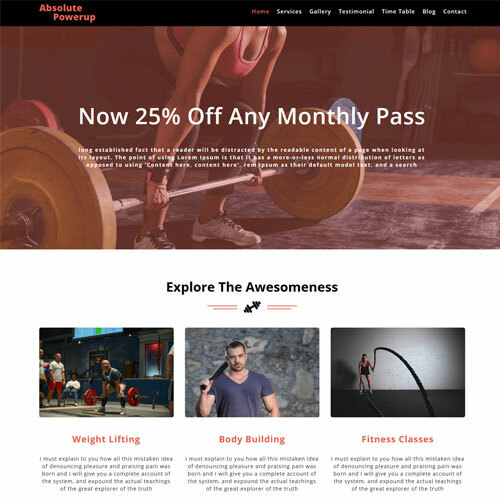 The latest events section is there for the updated news and upcoming events. 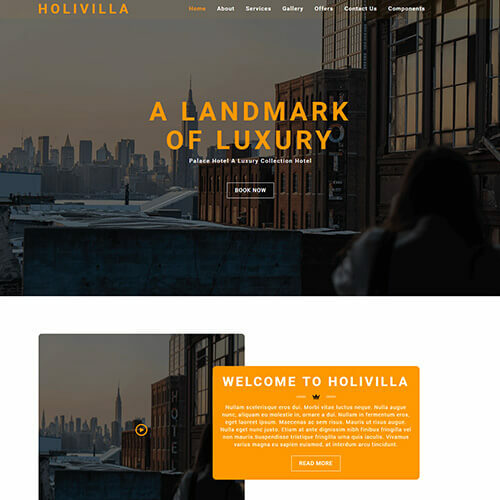 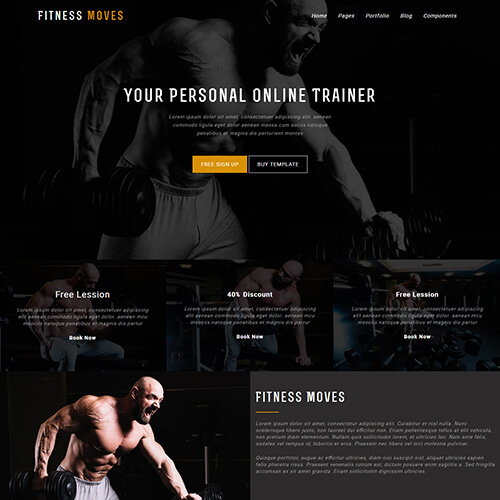 This free HTML website template is responsive on all screen sizes and cross-compatible across all devices.